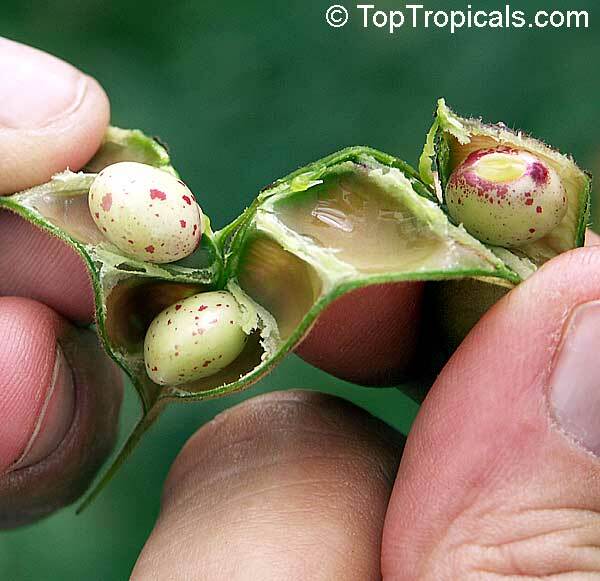 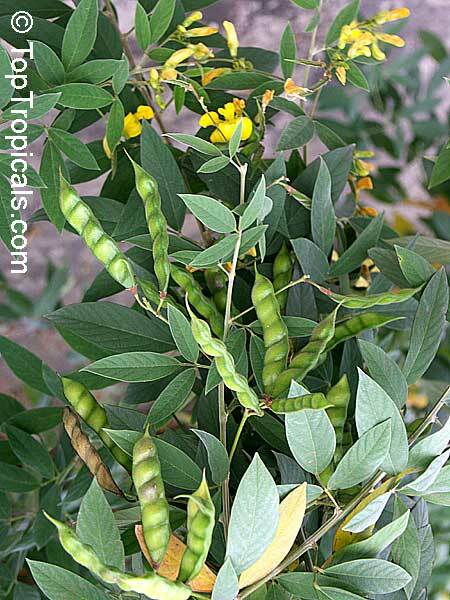 Pigeon peas are popular food in developing tropical countries. Nutritious and wholesome, the green seeds (and pods) serve as vegetable. Leaves are trifoliate and spirally arranged on the stem. 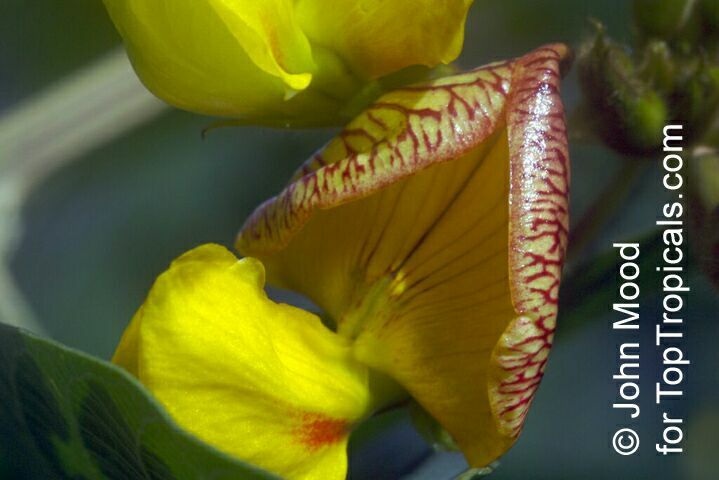 Flowers occur in terminal or axillary racemes, are 2-3 cm long, and are usually yellow, but can be flocked or streaked with purple or red. 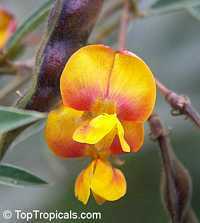 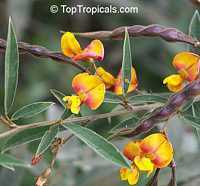 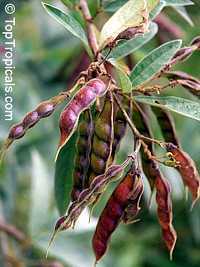 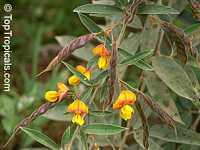 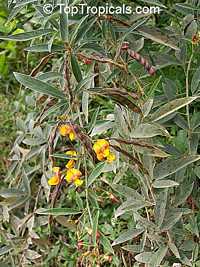 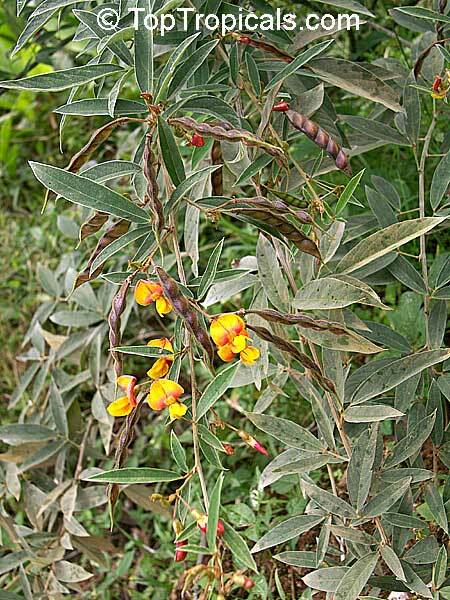 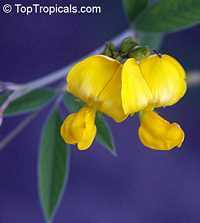 Pigeon Pea is hardy, widely adaptable, and more tolerant of drought and high temperatures than most other crops. 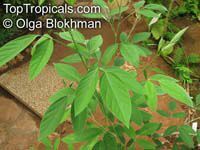 It grows on acid sands in the Sahel and alkali clays in India. Frost or excessive soil salinity are not tolerated, and waterlogging for 3-4 days severely reduces yields.